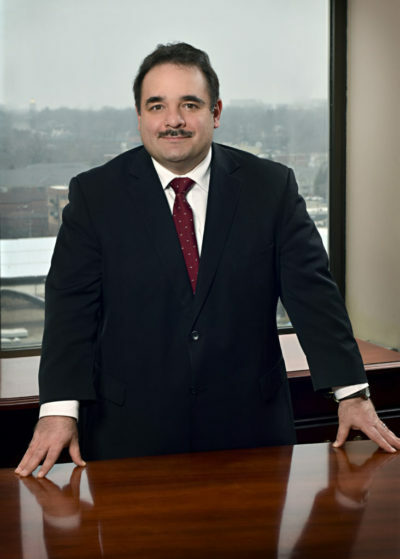 Frank is a licensed CPA and attorney who operated as a solo practitioner for more than twenty years before taking a position of counsel with the firm of which his brother is a named shareholder. Frank concentrates on the small business client helping them weave the tangled web of complex government regulations, drafting and negotiating contracts, and business succession planning. He assists tax clients with tax preparation, audit representation, and collection matters. He has extensive courtroom experience in enforcing contracts and collections. He has compassion for his clients appearing frequently before immigration courts to argue for families to remain united legally. Frank is active in the community having served as Treasurer for the South Bend Symphony, Treasurer of the Italian-American Heritage Society, Deputy County Attorney for the St. Joseph County Assessor, and as an Adjunct Professor of Accounting at both the University of Notre Dame and St. Mary’s College.